Over 50 years of practice, more than 600 awards and projects in 60 countries: Now, a new website. As designers, we never sit still for long. In addition to a bustling practice, we are pleased to unveil our latest project – a new website. SWA’s new website launched in March 2011 and features Advocacy Pages, Fellowships, News, Projects, and People. Take a look! SWA will also be releasing quarterly Newsletters to share firm news, exciting project updates, and updates to our practice and work as we continue to create. We hope to give you a glimpse into the bustling studios we have around the country and world and share some of our current thoughts and ideas with our peers and partners. 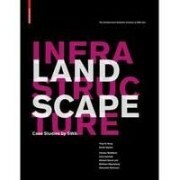 SWA’s Infrastructure Research Initiative, founded by Gerdo Aquino and Ying-Yu Hung, culminated in the Spring publication of the book “Landscape Infrastructure: Case Studies by SWA Group.” With project features from each office and essays by Charles Waldheim, Julia Czerniak, Adriaan Geuze and more, the 184-page hardcover showcases current built and unbuilt projects investigating the ideas and potential of Landscape Infrastructure. What is a park? Is a green, sustainable city literally a green city full of parks? Or does the ecosystem of a city serve as an underlying infrastructure for urbanism and development? 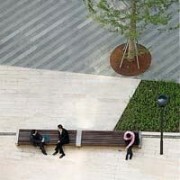 By maximizing urban spaces and providing high-performance landscapes, perhaps parks can be more than just ‘parks’. In an evocative interview investigating the question, “what is a park?” Gerdo Aquino talks to Nam Henderson about Landscape Infrastructure in Archinect. Read the full article here. 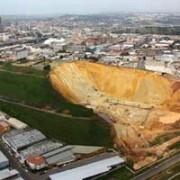 A century of gold mining in Johannesburg transformed the South African landscape and development patterns. Andrew Watkins, an Associate of of SWA’s Laguna Office, and Dorothy Tang co-authored an article on the past and future of mining in Johannesburg, featured in Places Magazine. In it, the article reveals the impact of mining and related construction infrastructures on the ecology of the settlement today. For the full article, check out the coverage on Design Observer. The social networking giant, Facebook, is moving it’s headquarters from Palo Alto to Menlo Park into what was previously the Sun Microsystems office park. On March 4th, several SWA designers joined 150+ architects, planners, and designers in an all-day “design-a-thon” to reimagine the suburban and urban areas soon to be home to 3000+ Facebook employees. Fast Company covered the event and showcases the four different team’s landscape-based approaches and visions for the new neighborhood. The Times Properties magazine 时代楼盘 has awarded two of SWA’s projects as Award Winners: Scott Slaney’s team for The Bay was awarded the Best Villa Of the Year and John Wong and Hui-Li Lee’s team for SIP Times Square was awarded the the Best Mixed Use Development of the Year. Houston’s beloved Bayous are getting even better. This Spring, the Rosemont Bridge pedestrian bridge had its grand opening on March 26. The bridge enables pedestrians and bicyclists to cross Buffalo Bayou and connects adjacent neighborhoods. Kevin Shanley, Julia Mandell, and Scott McCready were among the SWA members of the design team to be featured in one of several articles covering the bridge’s opening. The schematic design for the landscape and community plan for Sunnydale, San Francisco, kicked off this Spring. As part of the HOPE SF funding initiative to create better public housing throughout San Francisco, SWA will be designing the 50-acre community that will redevelop the existing 1940’s housing and provide approximately 1700 rental and homeownership units. 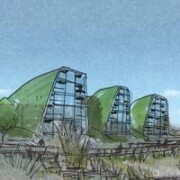 For more on John’s ideas, see Tall Building Groundscapes in the Advocacy section. To read the rest of the article, check out the Huffington Post article here. SWA announces the upcoming opening of our new design consultancy studio in Shanghai, China. During an exciting time of growth, development, and design leadership in China, we are excited to expand to a seventh office. SWA has had a representative office in Shanghai for several years, but this will be a full-fledged consultancy studio. The opening of a new studio will enhance SWA’s ability to plan and design beautiful built environments in China; environments that contribute to a changing China and benefit society, the natural environment and economic vitality.